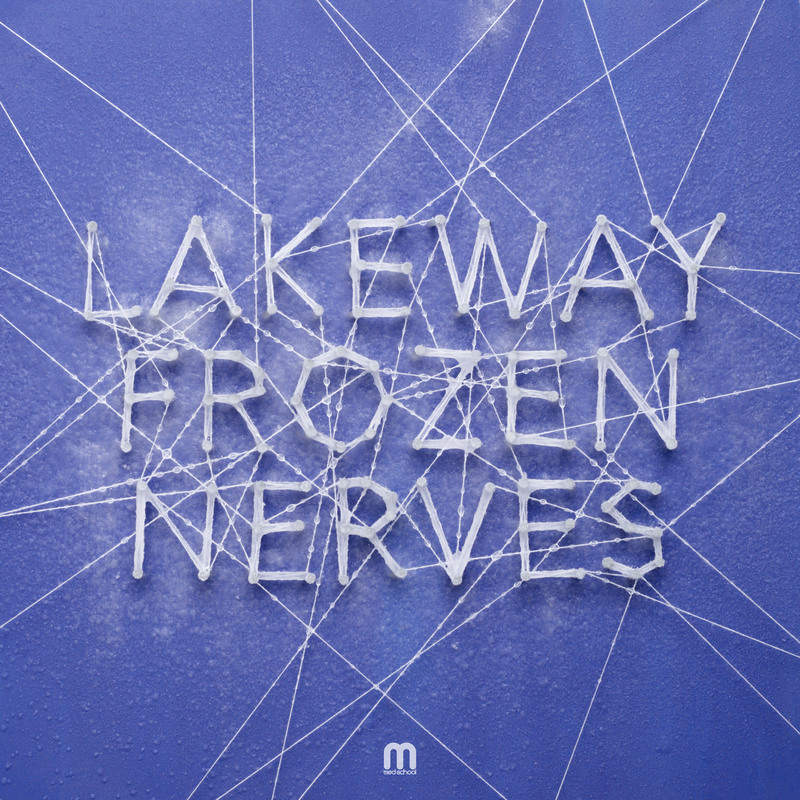 Catching up a little on this one: Last autumn I had a fun extra-project for an album I worked on. 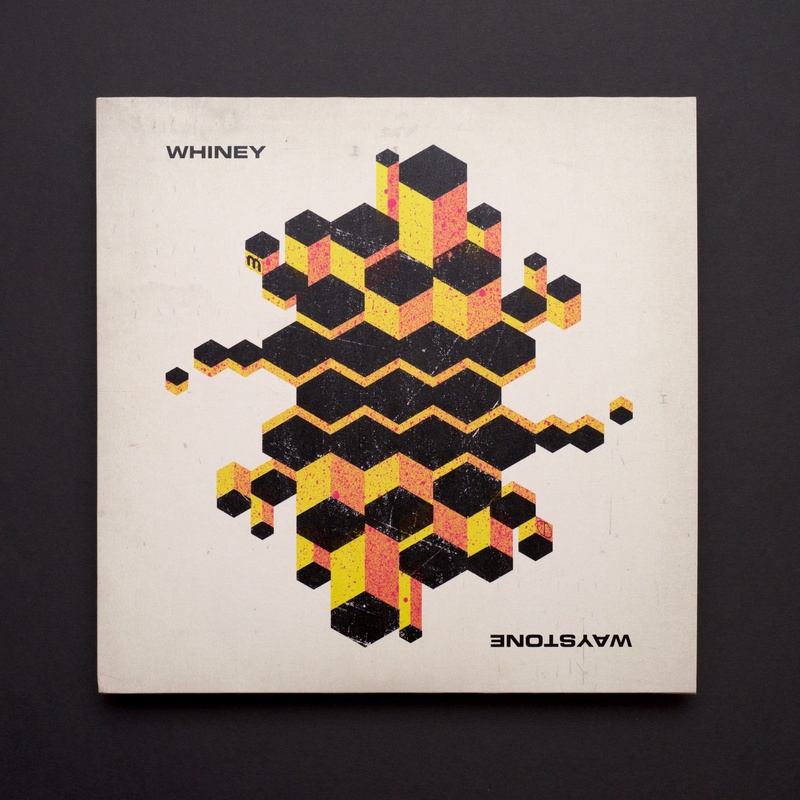 Med School came to me with Whiney’s second album, and the title for it was ‘Waystone’. I really liked the title, and it made me think of the Giant’s Causeway, which was the main inspiration for the artwork. To make it a bit more interesting, I had an idea of using rotational symmetry to ‘break’ the faux-3D graphics, making it feel like it bent around the other way. 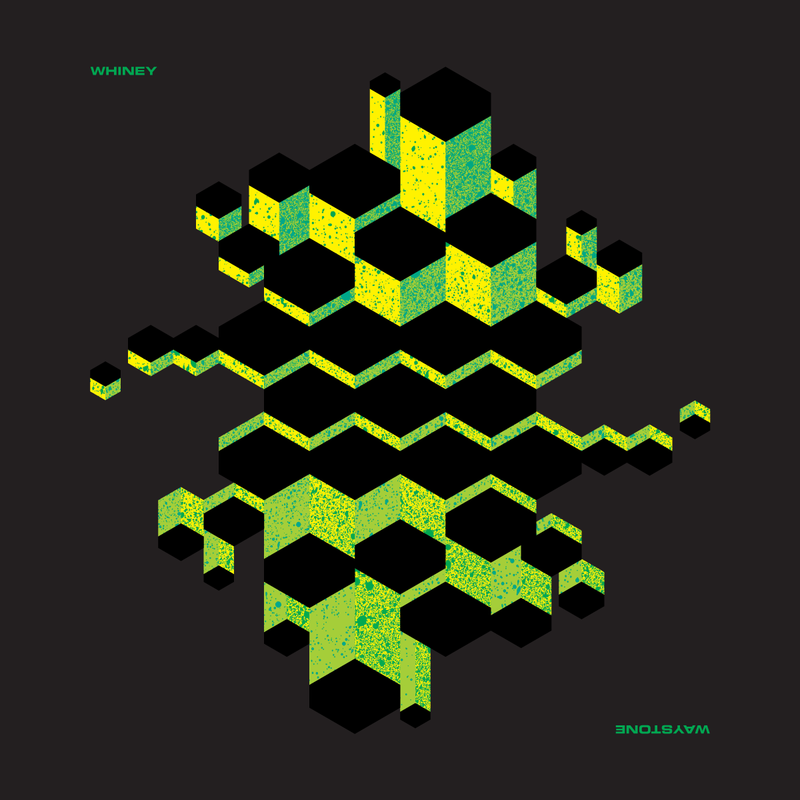 The idea was a sell, but as this is Drum and Bass, Whiney wanted my original version to be grimier. I obliged, and although it wouldn’t have been my choice, it ended up opening up an interesting opportunity further down the album’s development run. The label wanted some extra video content and asked me if there was some way I could do a live painting of the artwork – I thought a stencil would suit the more roughed-up design very well. It made for a good backdrop for a live-streamed DJ set before it was entombed behind the new Hospital Records studio this winter. And it gave me a good excuse to do a bit of artwork on a different scale to what I usually do! This week’s new release I had a hand in (literally!) 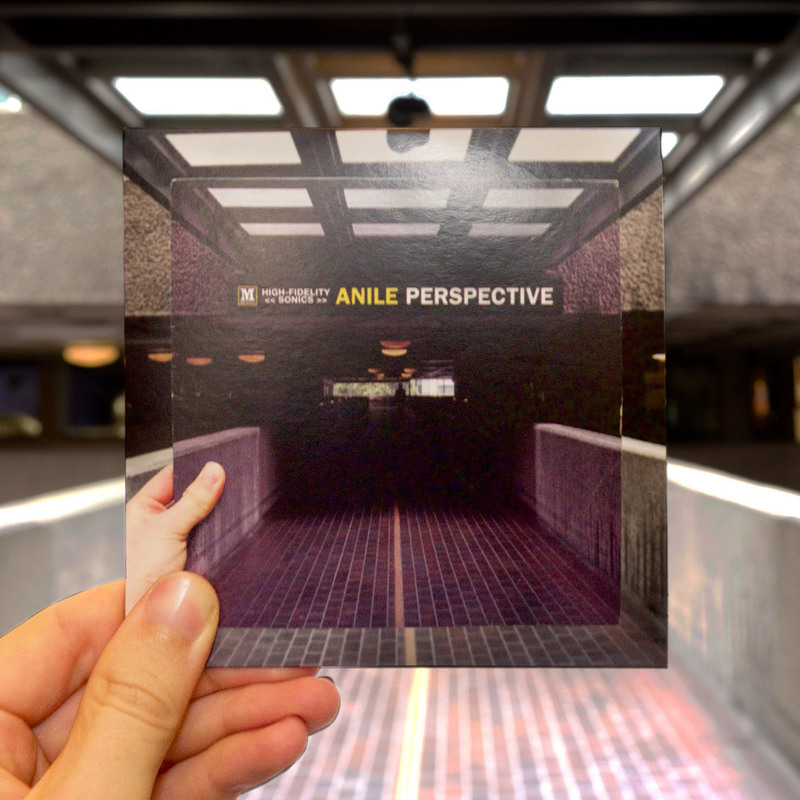 is ‘Perspective’ by Anile on Med School. 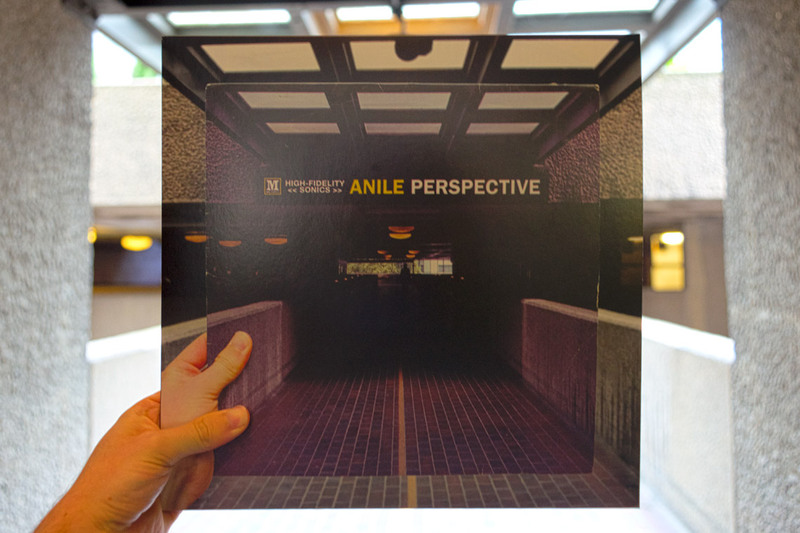 After MD Chris came up with the record cover in a record cover concept, we sent Hospital’s ‘resident doodler’ Snapclicker out with his camera to find us something to work for the title, and this shot from the Barbican Centre jumped out as being perfect for the job. I gave it a retro jazzy feel front and back, and with everyone happy, it went off to print. When the final copies arrived at The Purple Gates, I couldn’t resist going back to Barbican myself to keep the image going, in kind of a wormhole style. It worked a bit better with the CD, I think. If I was to go any further though, I’d need a much wider lens!